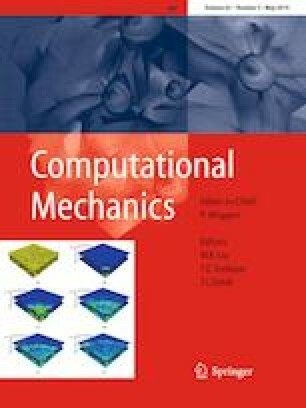 This contribution proposes a new approach to derive geometrically parameterized, reduced order finite element models. An element formulation for geometrically parameterized finite elements is suggested. The parameterized elements are used to derive models with a parameterized geometry where the parameterized system matrices are expressed in an affine representation. Parametric model order reduction can then be efficiently used to reduce the full order parameterized model to a reduced order parameterized model. The approach shows two beneficial features. First, design studies and shape optimizations can be conducted with parameterized reduced order model of much lower dimension compared to the parameterized, full order model. Second, it is possible to compute sensitivities analytically, and therefore, to avoid the computation of finite differences gradients. The approach is illustrated with two numerical examples. The first example includes a detailed error analysis. The second example is a shape optimization example of an adaptive structure. The authors gratefully thank the German Research Foundation (DFG) for the support of this research work within the collaborative research centre SFB/CRC 1244, “Adaptive Skins and Structures for the Built Environment of Tomorrow” with the projects A04 and B01 and as well as the project DFG EB 195/11-2 “Model Order Reduction for Elastic Multibody Systems with Moving Interactions”.